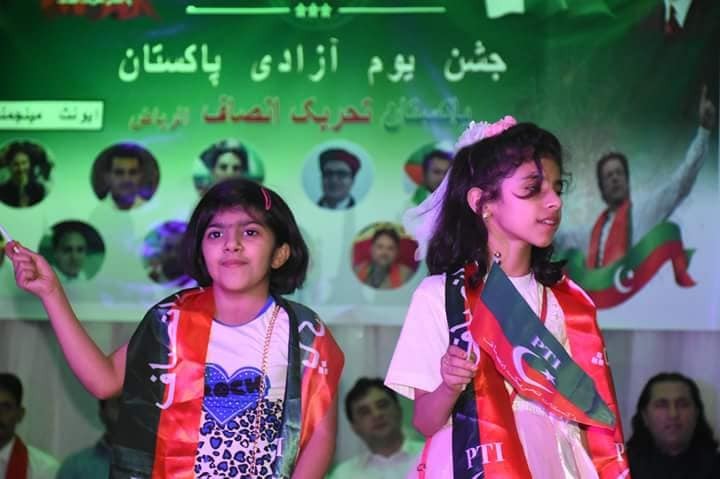 Pakistan Tehreek-e-Insaf (PTI) Riyadh region celebrated 71st Independence day of Pakistan and their victory in the recent general elections that resulted in the formation of their government with their cricketer turned politician Imran Khan as the new prime minister of Pakistan. 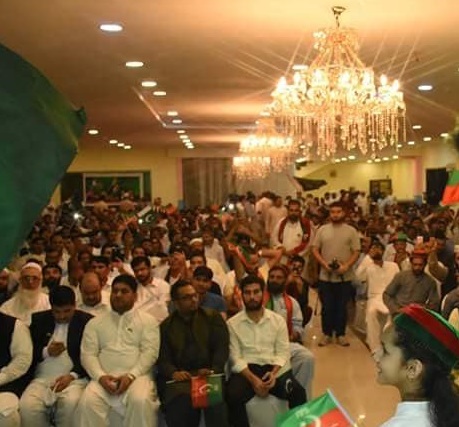 Hundreds of jubilant PTI workers including a large number of youth, kids and Pakistani community gathered at a local banquet hall to participate in the grand celebration. 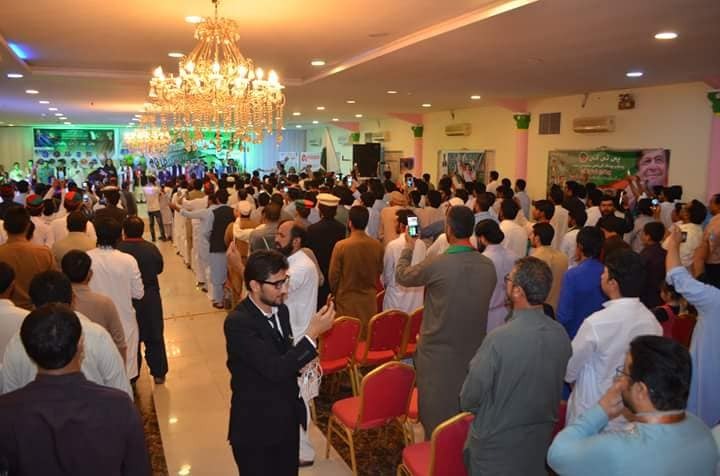 The hall was well decorated with the Saudi Arabian, Pakistani, PTI’s flags and welcoming banners. 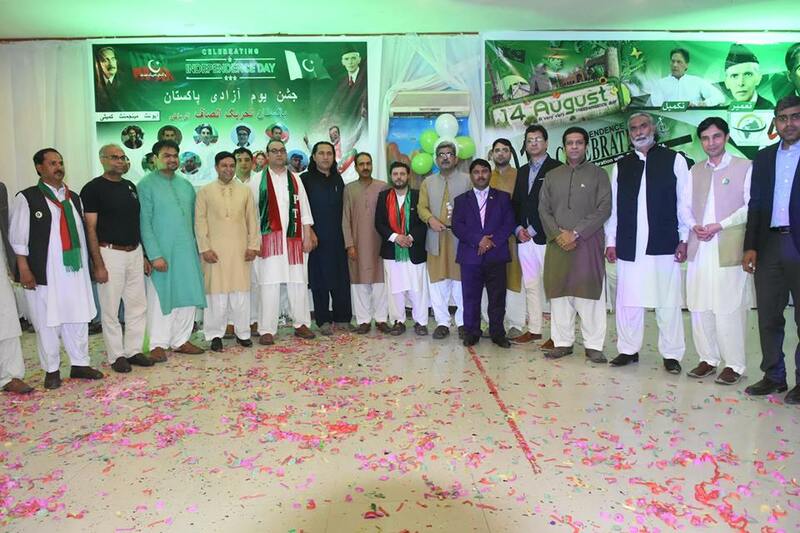 The stage was equally graced with the PTI Riyadh’s leadership and representatives of the Pakistani community. 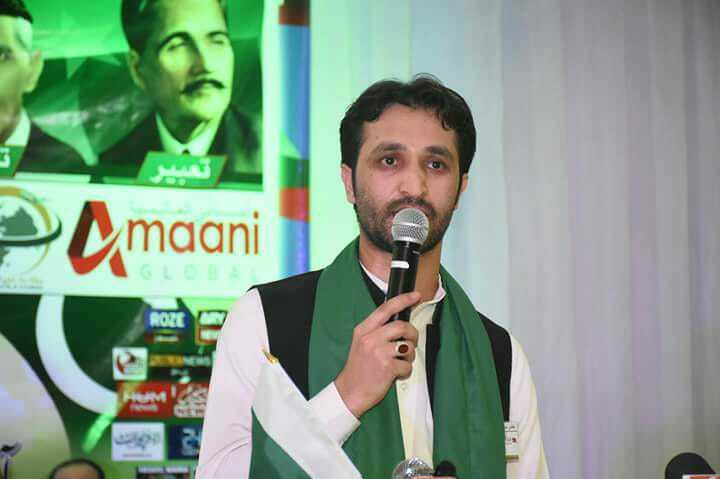 The program formally begins with the recitation of holy Quran followed by the National anthem of Pakistan. 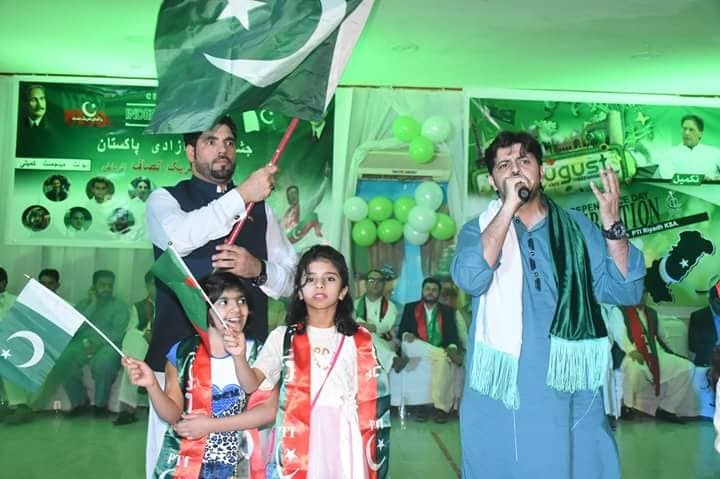 The proceedings of the program was ably conducted by GS-PTI-Riyadh Izhar Shams, Several performances of national songs were presented by the Kids. 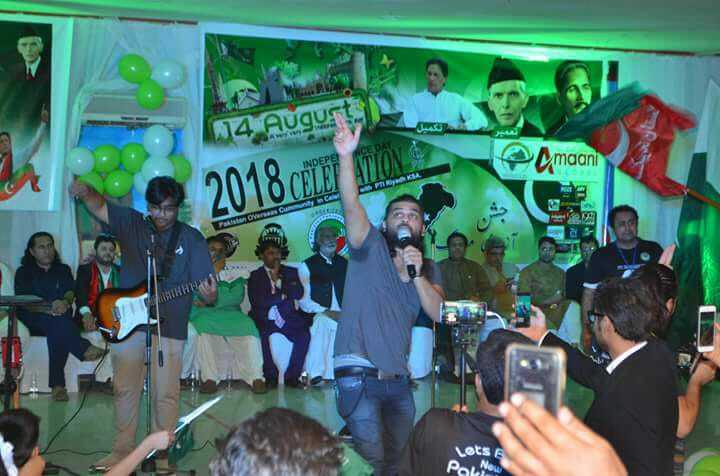 The famous Pakistani musical band of Riyadh “Black the Band” lead by Yasir Wahid and Salman Roomi performed on the occasion and presented several famous national and PTI songs that makes the audience especially the highly charged PTI workers to dance on the beats. Other hit performers of the night was Muhammad Aqib & Omer Khalid with their presentations of folk and national songs respectively, DJUK rocked the audience with his musical fusion. 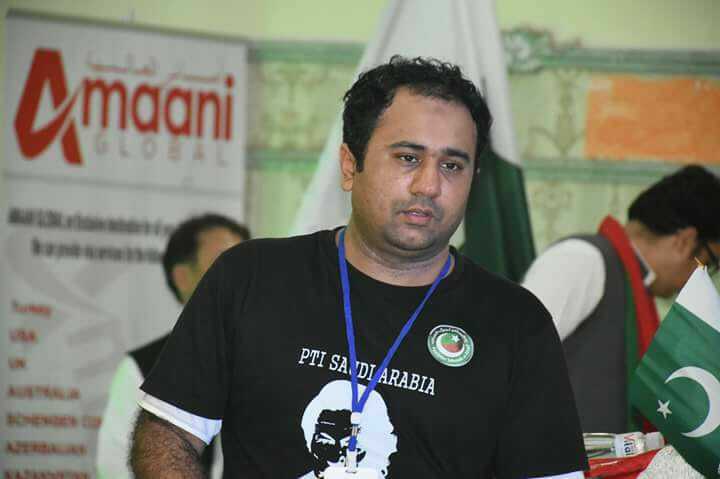 Speaking to Riyadh Daily, Khurram Khan the media head of PTI-Riyadh has Said, “It’s a high time for Pakistan to emerge in the world with the world class leader, PM Imran Khan. He will lead our nation with integrity and by example. Pak-Saudi relations will become more stronger and overseas Pakistanis will truly be benefited under the new government”, Khan said. 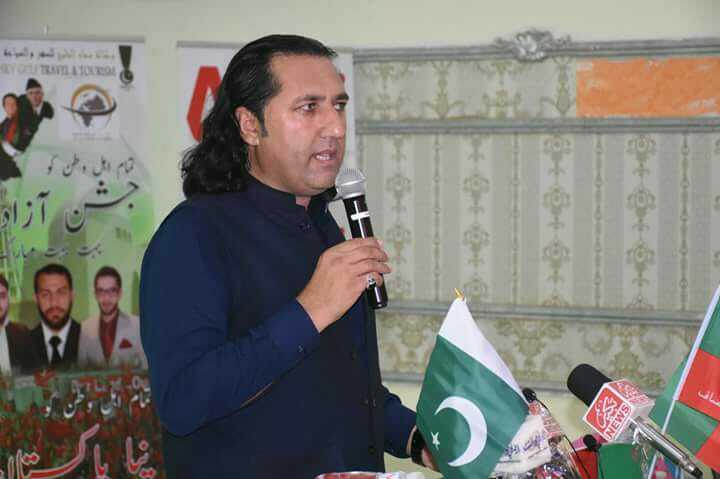 The former regional PTI President Abdul Qayyum Khan paid rich tribute to 22-years long political struggle of PTI’s Chairman Imran Khan, “It was 25th of July when Pakistan elected to bat, It is a historic occasion as Naya Pakistan (New Pakistan) is created on the happy occasion of 71st independence day of Pakistan. Our dream of the creation of Naya Pakistan becomes a reality now our hopes are high to see it works as per our expectations under the great and visionary leadership of our PM Imran Khan”, he said. 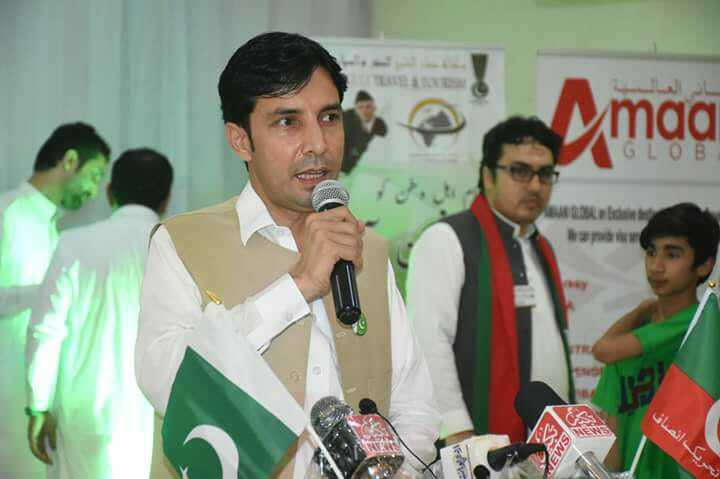 Khanzada Yousafzai, PTI’s caretaker President Riyadh Region hopes to see the fulfillment of the promises, “This election has brought us a hope that can change the old political legacies, We had elected other parties in the past but because of their poor performances we ousted them and now as the workers of PTI we had given our mandate to Imran Khan and PTI that won this election on the slogan of “tabdeeli (CHANGE) and “Naya Pakistan” meaning New Pakistan, where no corruption and no injustice transpires. If Imran and PTI’s government fails to deliver as promised, we will be their biggest opposition”, Khanzada said. 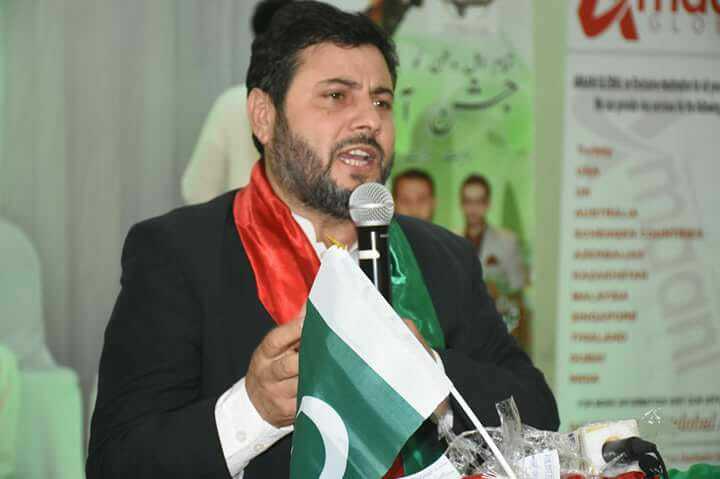 PTI’s acting president central region Rozi Gul Vows to work for the betterment, “Under the leadership of PM Imran Khan, Pakistan will become a great country envisaged by Quaid-e-Azam Muhammad Ali Jinnah and Allama Muhammad Iqbal. Our resolution on this 71st independence day is to make our country free from corruption, injustice, intolerance, extremism and nepotism. PTI government will rise to the challenge and assures you to bring change i.e. a well united, moderate, tolerant & civilized nation that will soon emerge as a economically strong and well developed country”, Gul said.